As part of the Lobster Grower project the consortium has been investigating the marine environment in St Austell Bay. As part of this, the hydrodynamics of the Bay are being monitored and work is being undertaken to assess the benthic environment and the marine life associated with it. This work includes baited remote underwater video (BRUV) and drop down camera (DDC) systems to investigate the habitat and benthic communities associated with the sea bed. 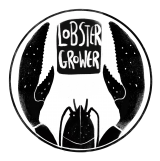 The National Lobster Hatchery has teamed up with Natural England to run a citizen science programme aimed at getting the general public involved in understanding the natural environment in St Austell Bay (#UNESAB). The main aim of the #UNESAB scheme is to get people to help with the identification of species of marine life by watching short sections of film taken using the BRUV system around the Bay (below). If you are interested in getting involved then please watch the videos and download the form below to record your findings. The form will give you instructions on how to record the species you identify from the videos and where to send this information once completed. St Austell Bay is located on the south coast of Cornwall and is a relatively sheltered inshore environment. BRUV and DDC systems have been used at various locations around the Bay to investigate the marine fauna which inhabit this environment. The depth varied between 15 and 22 metres depending on the sampling site and the seabed mainly consisted of small rocky reefs interspersed with sediments. The BRUV and DDC recordings were taken during the autumn/winter of 2016.